One of Russia’s oldest, most historically significant, yet least well known cities: welcome to Pskov! Situated a mere 20 kilometres from the Estonian border, Pskov is a perfect city for those who want to explore ancient Russian culture before heading off to the bigger centres. 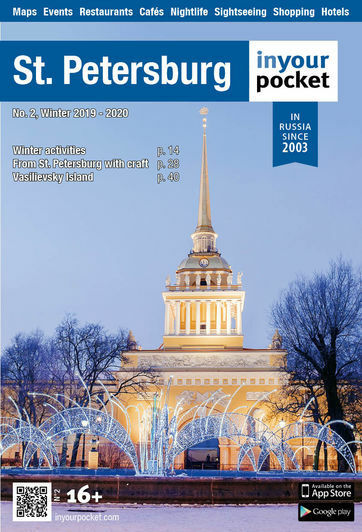 The first written reference to Pskov dates back to the year 903 in the Povest Vremennykh Let (Chronicles of the Old Years) with the marriage of Igor, prince of Kievan Rus’, to Olga of Pskov (c. 890 – 969). Prince Igor’s bride is still honoured in the Russian Orthodox Church. In its heyday, Pskov was a major trading hub, Kievan Rus’s largest partner within the Hanseatic Union, and one of the richest cities in the country. 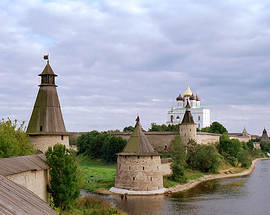 Aside from its commercial value, Pskov was also one of the country’s most important fortresses, a bastion-city surrounded by five thick stone walls, unique in contemporary Europe. 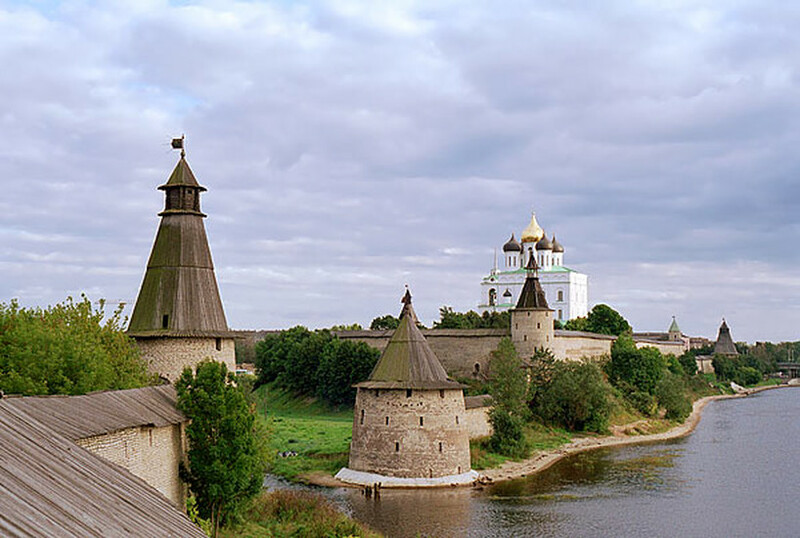 Pskov’s wealth and strategic significance earned it a fair deal of unwelcome attention. Approximately one third of the city’s medieval history was spent at war, including battles with Tatar-Mongol and Swedish troops. One of the most epic battles fought near Pskov was the Battle on the Ice, won by the legendary hero Alexander Nevsky (c. 1120 – 1263). More recently, Pskov bore witness to the end of the Russian Empire, as Nicholas II (1868 – 1918) was stripped of his title of emperor at the city’s train station. A plaque referring to this historical moment can still be found there today. 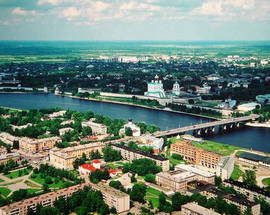 Two long-distance trains depart from St.Petersburg’s Vitebsky Vokzal (metro Pushkinskaya) daily, also stopping in Pskov. Both trains depart at 19:40. You can also take an elektrichka from Baltisky Vozkal (metro Baltiskaya), which departs daily at 07:05. Pskov has a small airport and its own airline, Pskovavia, so if you do not wish to spend 4-5 hours inside a bus or train, you can choose to fly to Pskov. Flights from St.Petersburg Pulkovo Airport depart on Thursdays, Fridays, Saturdays and Sundays. A plane ticket will cost you about 1200Rbl and the duration of the trip will be approximately 1 hour. Alternatively, you can easily get from St. Petersburg to Pskov by bus. There are several dedicated companies that will take you to Pskov within 4 hours and, to make things even better, most offer free WiFi on board. The state museum of Pskov consists of multiple buildings, now united under one name. The central building of the museum hosts various exhibitions dedicated to Pskov and its region. Directly attached to the main building are the famous Pogankiny chambers, named after a rich nobleman who once resided here. In these chambers you will find various paintings and works of art. Aside from these main buildings, there are 5 more parts of the Pskov State museum spread throughout the town. Every part of the museum has its own theme. Join a master class with a Russian blacksmith, or an excursion in the open storage fund collection. Keep in mind that not all buildings share the same working hours! Ul. Nekrasova ul. 7, tel. (+7) 8112 66 33 11, www.museums.pskov.ru. Open 11:00 – 18:00. Closed Mon. The remnants of the once great fortress of Pskov can literally be found on the city’s streets. The five stone walls that once surrounded the city have been reduced to a mere shadow of their former glory, but are nonetheless an interesting site to behold, especially the old towers which give a clear image of just how strong this city once was. 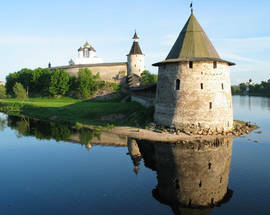 It is possible to enter some of the towers near the Kremlin of Pskov and walk along the stone fortifications. Proceed with caution when walking directly beside a wall when hard winds are blowing, the structures are old and pieces of stone can crumble down some of the weak points! It is well nigh impossible to look around you in Pskov and not see a church, if not two or three. No less than 40 churches have been built inside or near the city, the oldest of which dates back to the 12th century, while some are a lot more recent. 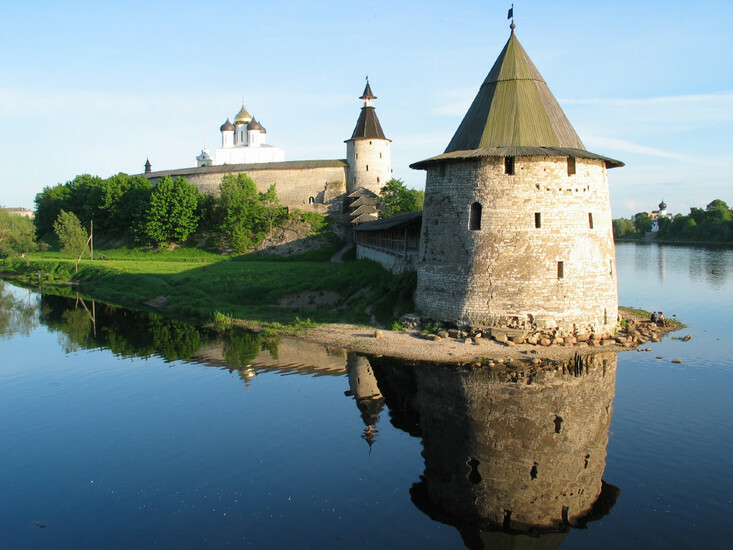 Pskov is a paradise for those interested in old Russian architecture and religion. Some of the churches are no longer in use and are in a somewhat derelict state, but most are still used and open to the public. Keep in mind that many churches demand that women wear a platok (scarf ) around their heads. It is not uncommon for churches to have some spare ones that you can use, but having your own saves you having to ask at every church you enter. The long history of Pskov has left its mark in the form of public monuments. They can be found basically everywhere in the city center, the parks and the city outskirts. Some of the most interesting monuments can be found near the city centre, for example the monument dedicated to Alexander Pushkin, Russia’s legendary and most famous poet. Another monument of significance is the monument of St. Olga, whose name is often linked to the creation of Pskov. One of the most impressive monuments is situated a bit further outside town, on the Sokolikha Hill (Falcon Hill). This particular monument is dedicated to Alexander Nevsky, the legendary Russian hero. With a height of no less than 30 meters, this monument will make you feel like you are a character in a Tolkien story! Pskov has some very nice parks where you can either walk, or sit down to enjoy the atmosphere. The Detsky Park (Children’s Park) can be found near the centre of the city, and is a perfect place to see how Russian families spend their free time. The park has a merry-go-round and pony rides to entertain the children. You can also find two of the city’s many churches inside this park. A little further into town is the Letny Sad (Summer Garden), where occasionally small feasts or events are organized. A walk in these parks will most certainly clear your mind of any troubles. You will never be hungry when you are in Pskov as the city is bursting with restaurants and cafes. While most hotels offer breakfast, lunch and dinner, it might be more interesting to head into town and have a look at the many cafes and restaurants. Whether you are looking for a cup of coffee or traditional Russian cuisine, you will easily find a place to still your hunger and quench your thirst. Restaurants in Pskov are relatively cheap, especially when compared to cities like Moscow. 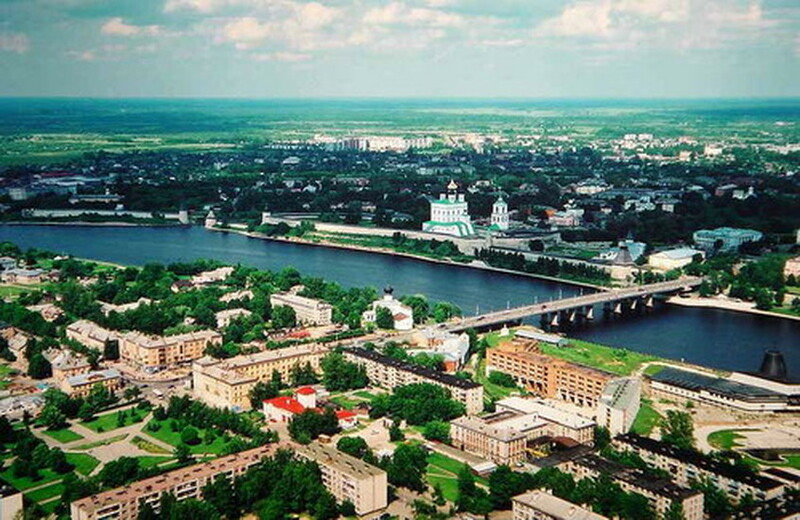 We have listed some of our favourite restaurants and cafes in Pskov especially for you!